Junior Holly Rossman began her first year as the Pride of Littleton Marching Band’s new Drum Major. 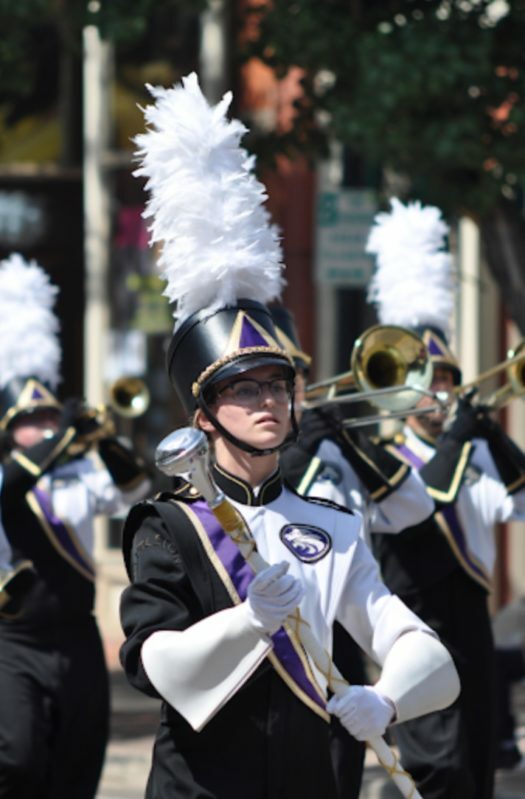 Entering her 3rd year in band as a clarinet player, and her 7th year playing overall, Rossman was eager to start the exciting new task of becoming a drum major. “A drum major is a student who leads the band, both by leading them in rehearsals, and by conducting the band in performances…we also spin a mace in parades like Western Welcome Week and the State fair. Spinning mace is really hard and a lot of fun, and it’s how I won the ‘Most Outstanding drum Major Award” at the State Fair!” said Rossman. After going through a rigorous test including essay questions, service projects benefiting the Marching Band, and a live performance, Rossman is more than excited to accept this position along with senior Seth Young.